Located in downtown Seattle, First Hill Dental Center makes it easy to take care of your teeth. From regular cleanings to emergency visits or dentures, our family dentist’s office will welcome you and make you feel at home. 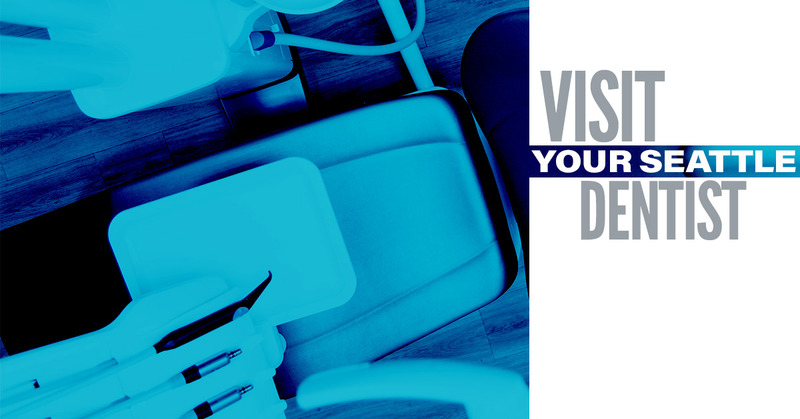 We understand that not many people look forward to going to the dentist, but you can be confident that we will give you and your teeth the attention that you want and need. To make the experience as easy as possible, we provide headphones so you can listen to your favorite music while we take top-notch care of your teeth. Many of our dentists, hygienists, and dental assistants are from the Seattle area, and have years of experience with periodontics, dental implants, and emergency dental issues as well as a passion for oral health. We love Seattle and all that there is to do, including hiking, finding the best restaurants, and of course, rooting for the Seahawks. But above all, we love educating our patients on the best dental practices so that each visit becomes something you do look forward to. Nothing feels quite like having that fresh feeling in your mouth after a cleaning and the peace of mind knowing that your teeth are healthy. Because our office is located downtown, getting a cleaning on your lunch break is a breeze, or if you live in the Belltown, Queen Anne, Ballard, or Capitol Hill areas, we’re just a few miles away. At the corner of Boren Ave. and Madison St., our family dentist strives to give our patients the best with state of the art equipment, a comforting environment, and superior patient care. Call us today to schedule a regular cleaning or to learn more about our emergency services. Whatever situation you find yourself in, you can depend on us to provide easy dental care and exceptional service.